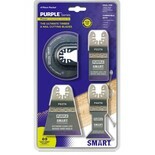 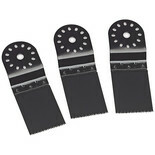 Pack of 3 32mm wood plunge cut saw blades for use with the Clarke CMFT250 multifunction tool. 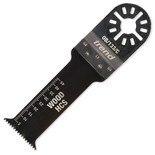 Ideal for cutting timber, nails, screws, PVC and ferrous metals. 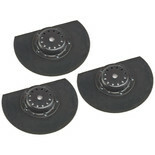 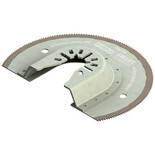 Pack of 3 87mm HSS wood & metal semi-circular t saw blades for use with the Clarke CMFT250 multifunction tool. 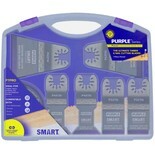 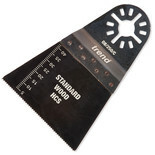 Pack of 3 20mm wood plunge cut saw blades for use with the Clarke CMFT250 multifunction tool. 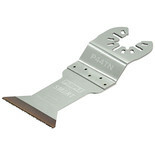 A 44mm wide, straight, multi-tool blade which is ideal for timber, nails, screws, PVC and ferrous metals. 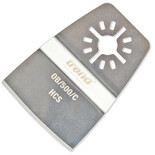 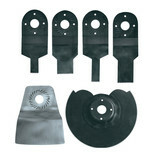 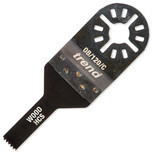 63mm straight multi-tool blade which is ideal for timber, nails, screws, PVC and ferrous. 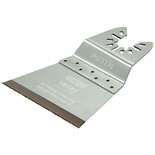 A 90cm semi-circulat multi-tool blade which ideal for timber, nails, screws, PVC and ferrous metals. 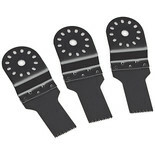 The Einhell 44.650.10 6 Piece Multi-Tool Starter Kit is ideal for use with the EINBTMG180 multi-tool. 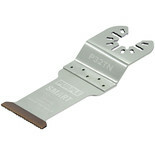 Universal design arbor for fitment to the majority of popular oscillating multi-tools on the market including Fein Multi-master, Bosch, Makita, Dremel Mulitimax, Worx Sonicrafter, Hitachi & Metabo.